What is the most valuable item in your jewelry box? Is it the ring topped with a precious rock? Or rather the rose gold one weathered and even a little bit scratched by the time… Most precious jewelry is associated with memories and meanings. And Modern Talisman is a memory by itself, overflowing with history. Talisman, totem, amulet and fetish are terms used as if they were interchangeable. In fact their differences stand in their origin and location. In any case, they commonly describe an object that provides good fortune and protects from evil. A talisman is a stone, ring, or other object, engraved with figures or characters supposed to possess occult powers and worn as an amulet or charm. It has an ancient history in America: we identify the first artworks beginning in 8800 BCE. The Native American Jewelry is very diverse depending on the regions and tribes that it refers to. The purposes of this jewelry are adornment, ceremonies or trade. Specialist writer Lois Sherr Dubin explained: "In the absence of written languages, adornment became an important element of Indian communication, conveying many levels of information. It remains a major statement of tribal and individual identity." Even though the practice dwindled, it never really disappeared. Still today, descendants of the Native Americans create this kind of jewelry. However, majority of it is now produced by modern designers. Aurora Lopez Mejia is one of them. 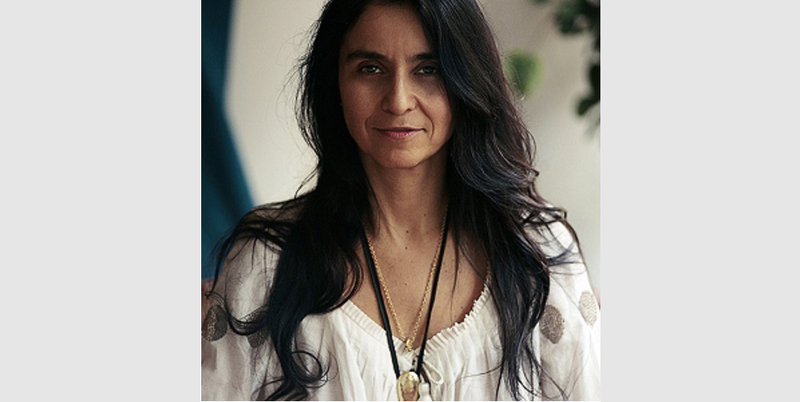 Aurora Lopez Mejia is a creator with more than 25 years of experience, whose first signature is a hand inscribed gold piece of jewelry. She is very attached to the fact that her jewelry is like a reminder of important aspects of life each and every day. Her pieces are similar to tattoos. They are constant reminders of all that we sometimes leave behind. This is helpful in a world filled with constant chaos. The jewelry pieces start to feel more like anchors. In fact, the pieces she creates often wear heavy inscriptions not to be forgotten. They are pure. No fuss. Each piece when personalized reflects the wearer’s sensibilities and thoughtfulness, while at the same time taps into the designer’s devout respect and interest in the ancient civilizations who originally wore talismans as agents of power and change. 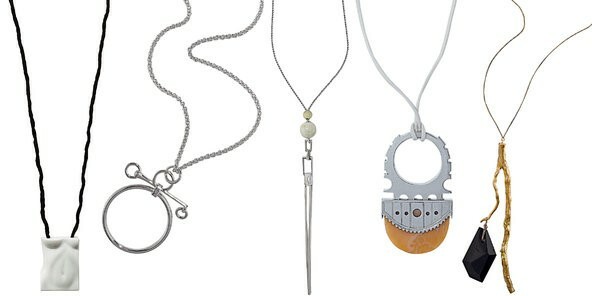 For thousands of years, amulets and different forms of found objects have been worn as jewelry to help protect, heal, and connect to the spiritual world. Aurora Lopez Mejia takes her inspiration from this primal impulse and adds words to connect to the deeper meaning of a person’s experience. Aurora’s fan base is comprised of a variety of people from artists and performers such as Madonna, Brad Pitt, Usher, Rihanna, Penelope Cruz, Bette Midler and Kate Capshaw. Many collectors have come to Aurora to have her commemorate some of their most cherished, private experiences. Jewelry today is so rich with diversity that one is likely to be tempted by more than one style. Talismans Jewelry as we would like to call it, even found its way to the shine of Place Vendôme. Fashion editors regularly advise to complete a look with some pendant necklaces: “Worn long and loose, they give a hint of hippie magic” T, The New York Times Style Magazine. Shops around the world are proud to sell them. In fact, we identify the appeal of it in its spiritual connotation. In the Occidental world, in our crowded cities, people are often alone. They feel the need to rely on something else. For the ones who are not religious, talismans kind of fulfill the requirement.